I bought too many jelly rolls from The Fat Quarter Shop on black Friday one year so when my sister-in-law was pregnant, I presented them to her and let her pick which one she wanted for my niece's baby quilt. 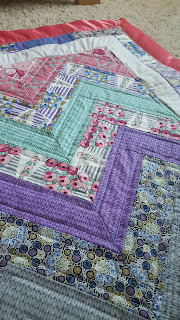 She chose a beautiful Downton Abbey roll (I think this one is Lady Rose?) 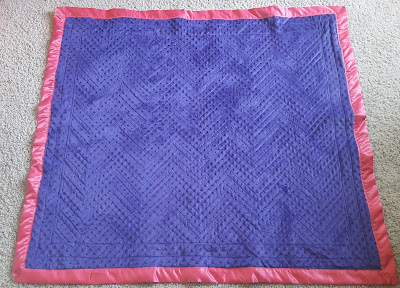 so I set to work! 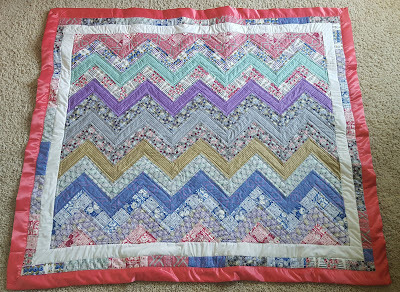 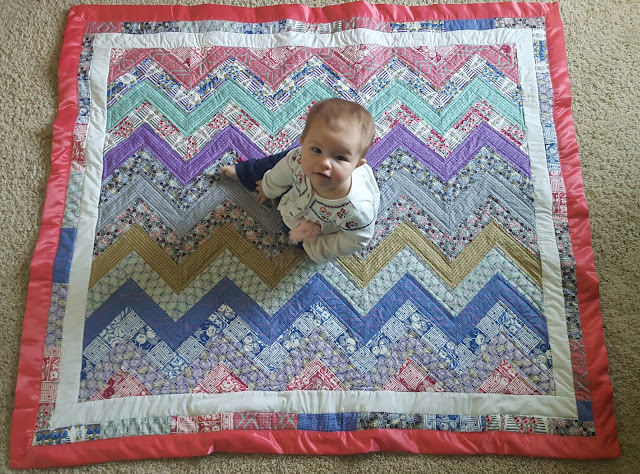 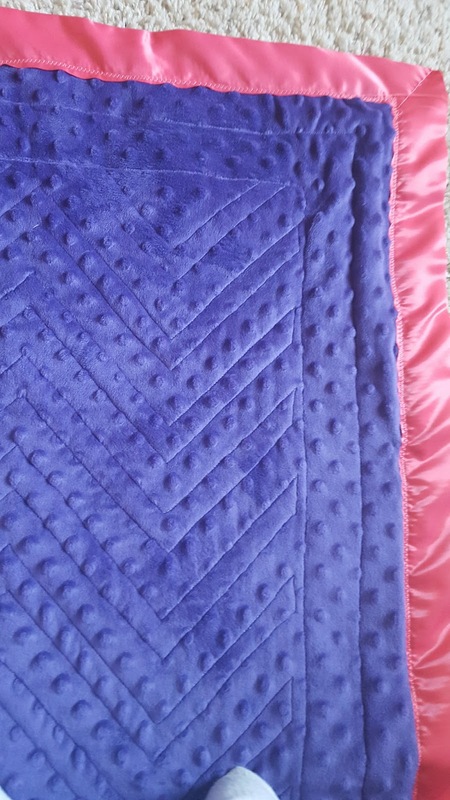 I'd saved this tutorial from Sew Very Easy a long time ago with the hopes of using it for a baby quilt, and the fabric Diana picked went perfect with it! It was difficult, I'm not going to lie. 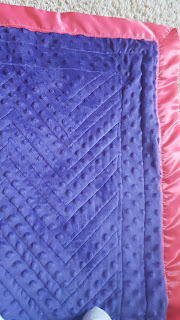 And the quilting I chose to do, zig-zagging along each row, was also time consuming and difficult. 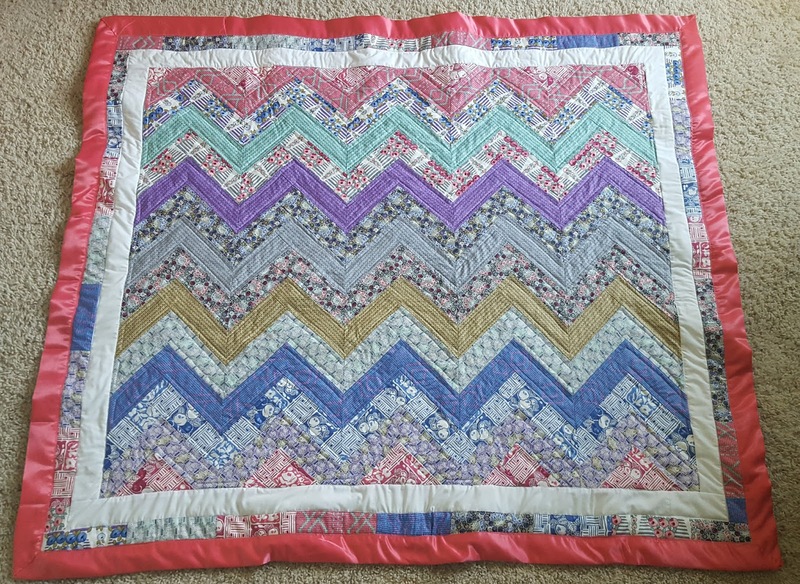 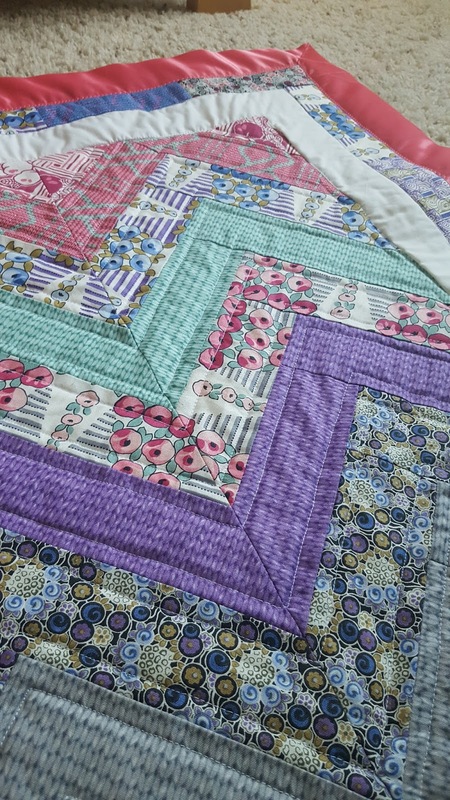 I did a border of white and a border of scraps from the jelly roll, then backed it in purple minky and added a coral satin blanky binding.